Have a question about your Slow ’N Sear® product? Check here first. Don’t find what you need? Just send us a note. WHICH SLOW ’N SEAR SHOULD I BUY? Will you be making a Slow ‘N Sear® to fit other grills? We have a number of products in development, many of which originated through customer feedback. We encourage you to contact us with any special customization requests and to sign up for our newsletter to be the first to know about all new product releases. What are the Slow ‘N Sear 2.0 and Slow ‘N Sear XL dimensions? Slow ‘N Sear 2.0 – 20.5” wide x 4.75” high x 8.5” deep. Slow ‘N Sear XL – 23.5″ wide x 4.75″ high x 9.5″ deep. 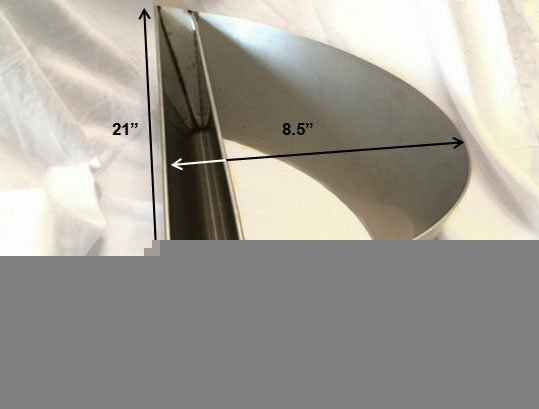 I have a 26″ kettle – do you recommend I buy the Slow ‘N Sear XL? We do. The original Slow ‘N Sear or Slow ‘N Sear Plus works great in the 26″ kettle (Click here for a thorough review from the Weber Kettle Club). However, if you are consistently cooking large amounts of food, or doing a lot of low ‘n slow you may find the increased charcoal capacity will help you achieve longer unattended low ‘n slow cooks. Similarly, the larger charcoal basket will provide a greater searing area compared to a Slow ‘N Sear in a 26″ kettle without sacrificing any indirect cooking space. How many sizes does the Slow ‘N Sear come in? Several! We have designed Slow ‘N Sears to fit every late model Weber kettle, the Weber Jumbo Joe®, and the Weber Summit® Charcoal Grill. Click on our Shop page to see all of the options and sizes. WILL THE SLOW ’N SEAR FIT MY GRILL? Does the Slow ‘N Sear fit kamado-style grills (Big Green Egg/Akorn/Kamado Joe)? The fire box of most kamado-style cookers is not large enough to accommodate the Slow ‘N Sear. The “Extra Large” sizes may be an exception, but please confirm the dimensions of your grill against Slow ‘N Sear schematics before making a purchase. 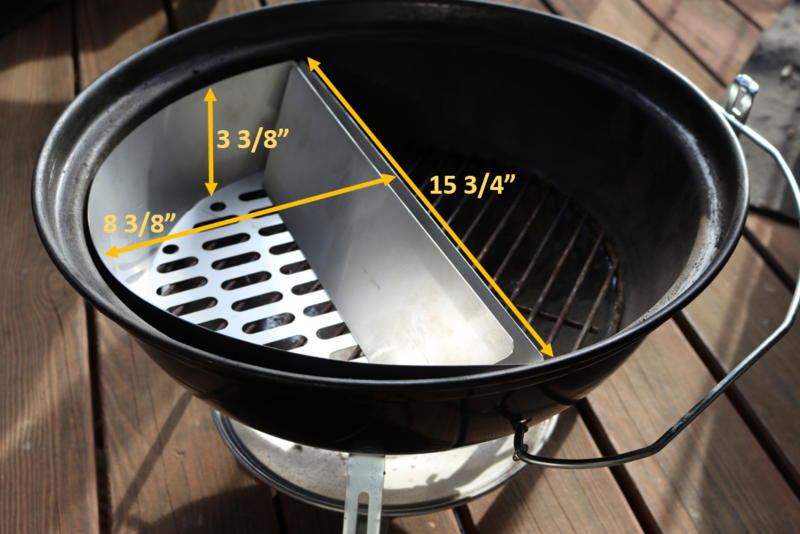 Be sure to compare the dimensions of the Slow ‘N Sear Charcoal Basket as well. It’s our smallest Slow ‘N Sear and fits the largest variety of grills. 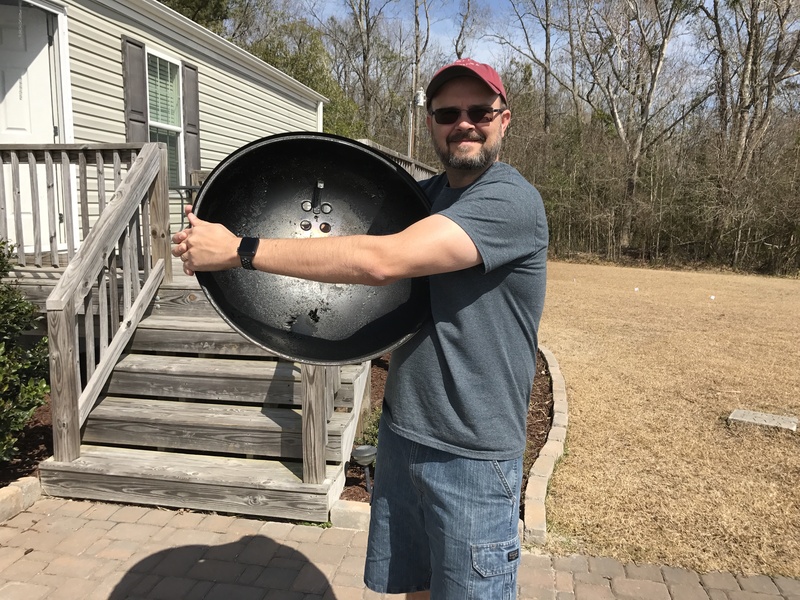 Is there a Slow ‘N Sear that fits the 22″ Weber Jumbo Joe? Yes, the Slow ‘N Sear Charcoal Basket works great in the 22″ Weber Jumbo Joe. All other Slow ‘N Sears are too wide or tall to fit the 22″ Jumbo Joe. Does the Slow ‘N Sear fit in the Weber Summit Charcoal grill? The Slow ‘N Sear Low Profile was designed specifically to address the shorter distance between charcoal and food grates on the Weber Summit Charcoal. Pair the Low Profile with the Drip ‘N Griddle and Slow ‘N Sear Charcoal Basket for the ultimate WSC grilling and smoking experience! CAN I USE _____ WITH MY SLOW ’N SEAR? Can I use an automated controller fan, such as an Auber or BBQ Guru with the Slow ‘N Sear? Certainly! We use one occasionally ourselves. The Slow ‘N Sear is designed to hold steady temps and be easy to use right out of the box without additional equipment so you may find you don’t need one. Follow our lighting and temp maintenance instructions for hassle-free cooks of 8+ hours – no fans needed! Can I use lump charcoal, or even straight wood, with the Slow ‘N Sear? Certainly! The Slow ‘N Sear will burn any fuel that can be used in a kettle. If you’re planning on using straight wood, we suggest you pre-burn the wood until it gives off clean smoke otherwise you are at risk of oversmoking. What’s clean smoke? Read this. HELP! I THINK MY SLOW ’N SEAR MAY HAVE A PROBLEM. I can’t get my kettle with Slow ‘N Sear hot enough (350+ F). Start with 1/2 to full chimney of fully lit charcoal, depending on how hot and how long you’re going to cook. Small piles of “starter” coals like what is used for low ‘n slow heat will never get your grill up to temperature. Open up your vents, and more importantly, make sure they aren’t clogged with ash. Keep your charcoal dry. If stored outside, or in a very humid environment, it may not burn as well as dry briquets. My Slow ‘N Sear won’t get down to 225 F.
Don’t be afraid to close down your vents until they look almost closed. The Slow ‘N Sear makes charcoal burn much more efficiently and doesn’t need as much air as you may be used to. Check your lid for leaks. If you’re seeing smoke pour out from the sides of the kettle, you have a leaky lid. We regularly use binder clips on our kettles. Here’s a video to show you how they work. Your lid may also be out of round. Lay it on a flat surface and see if it rocks in any direction. If so, give your lid a gentle “hug” to get it back into shape. If you’ve overshot your desired temperature and are looking to cool the coals down quickly, take a spray bottle filled with water to the coals. Keep in mind, the Slow ‘N Sear is a tool that makes steam, heat, and smoke production more consistent but it does not provide air control. See our lighting instructions and temperature maintenance page for tips and techniques for mastering temperature control. 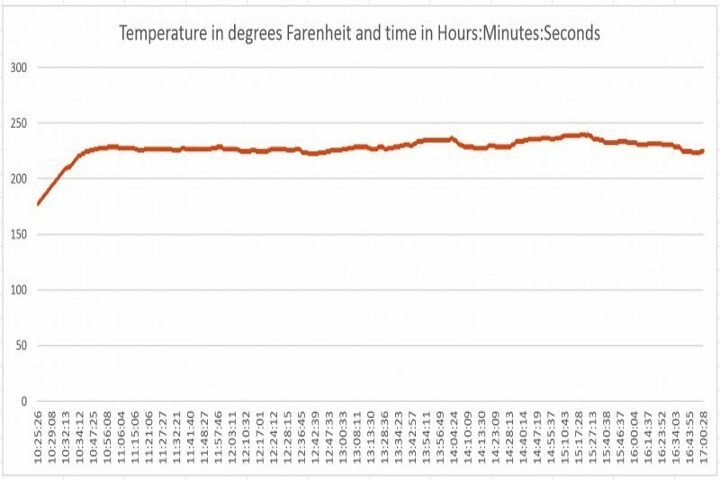 Getting to know your kettle and the specifics of air flow with your particular grill will have you achieving this level of temperature control in no time! It appears my water reservoir is leaking. Do I have a faulty product? Should your Slow ‘N Sear have a leak, we will absolutely replace it. Every single Slow ‘N Sear (standard, Plus and XL) is water tested before leaving our manufacturing facility. However, most likely, everything is fine with your Slow ‘N Sear. The incredibly humid environment created during a low ‘n slow cook creates condensation that makes it appear that the reservoir is leaking. To confirm that your reservoir is still water tight, after the cook when the Slow ‘N Sear has cooled, place it on a table and fill the reservoir with water to check for leaks. My water reservoir warped during my last cook. Is this normal? It is not uncommon for the water reservoir to warp during a high-heat cook. Afterward, it will return to its normal shape. This is a natural characteristic of stainless steel and should not cause any alarm. After numerous cooks, you may find the Slow ‘N Sear retains a small curvature in the water reservoir. This is also normal and has no affect on the water reservoir capacity or function. We guarantee that you will be completely satisfied with your purchase. If within 30 days of receiving your Slow ‘N Sear/Slow ‘N Sear Plus/Slow ‘N Sear XL/Slow ‘N Sear Charcoal Basket/Slow ‘N Sear Low Profile, Grill Grates, Drip ‘N Griddle Pan or 22″ Two-Zone Cooking Grate with EasySpin, you are not 100% satisfied with your purchase, you can return the product to us and we will refund your full product purchase price including any applicable taxes. 30-day satisfaction guaranteed refunds are only honored when you have contacted us at info@abcbarbecue.com prior to the 30-day window expiring and have been issued a return merchandise authorization (RMA) number. Return shipping charges to send your product back to Adrenaline Barbecue Company are the sole responsibility of the purchaser. All orders received before 2pm Eastern will ship same-day, Monday – Friday (excluding major holidays). Orders received after 2pm Eastern will ship the next business day. 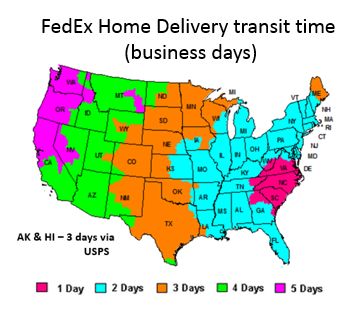 For orders shipping via FedEx Home Delivery, please use the FedEx Home Delivery map to view estimated transit time once the package leaves our facility. Is shipping currently available outside of the USA? We are happy to ship world-wide. Our checkout is currently configured for orders going to the U.S. (including APO/FPO & Puerto Rico), Canada, U.K., Australia and many other countries around the world. We do have distributors in numerous international locations which may save some money and provide faster delivery. If local distribution doesn’t exist for your location, please contact us for a shipping quote. Yes! At checkout you will be presented with the standard Home Delivery shipping option and additional FedEx Express services including overnight and 2-day shipping.